SKU: SS81728. Category: Health & Fitness. Tags: Collagen, Diet, Elastin, Healthy, Recipes, Skin, treatment, Youthfulness. The Young Skin Diet sets forth the results of Ms. Lee’s research, delineating six principles for healthy eating to support our skin; practical steps to make healthy eating sustainable in our lives; and meal plans, more than 75 recipes and skin treatments shown to be effective at delivering proper nutrition to our skin. 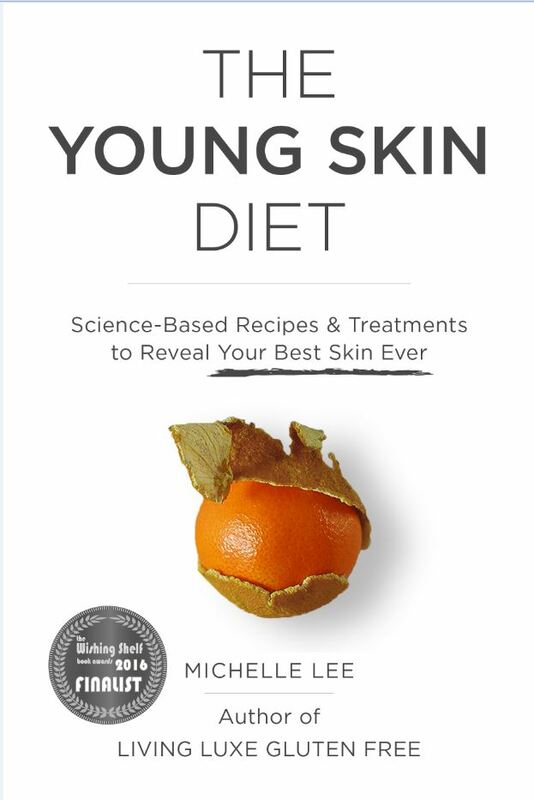 The Young Skin Diet provides beautiful and inspiring full-color photographs of recipes, allowing readers to understand the simplicity of ingredients and how prepared dishes should appear. The photos further demonstrate that eating healthy can be delicious and enjoyable. The Young Skin Diet plan is directed at reducing skin inflammation, boosting collagen and elastin levels, enhancing tone and consistency, improving smoothness and ensuring suppleness to the touch. All of which is designed to produce young-looking, radiant skin. At its core, the guiding philosophy of The Young Skin Diet is that, for a diet plan to be helpful, it must be grounded in science; offer actionable advice; generate results; and be sustainable as a part of everyday life. The Young Skin Diet is engineered with this philosophy in mind, translating cutting-edge scientific research into results-oriented action plans that are easily integrated into even the busiest schedules. In addition to her training in economics, which she uses to cut through empirical nutrition research, Ms. Lee brings her experience creating delicious and healthy recipes to bear in The Young Skin Diet. As author of the “exceptional, upscale” (Gluten Free & More Magazine) and “adventurous” (Publishers Weekly) cookbook Living Luxe Gluten Free, Ms. Lee has a wealth of experience transforming healthy ingredients into delicious meals. This unique combination of analytical muscle and culinary artistry makes The Young Skin Diet both edifying to read and gratifying to follow. Michelle Lee is the author of the Living Luxe Gluten Free cookbook, which has been praised as “exceptional, upscale…beautiful…impressive” (Gluten Free & More Magazine), adventurous…useful” (Publishers Weekly), “elegant, delicious” (Celebrate Gluten-Free Magazine), and “sumptuous, user-friendly…highly recommended” (Midwest Book Review). Ms. Lee regularly speaks before audiences across the country about healthy eating, living and traveling. As a self-taught chef, she also teaches cooking classes with a focus on how to make simple and natural ingredients taste delicious. Michelle’s culinary style is heavily influenced by her time spent living in Madrid, Luxembourg City, Chicago, Los Angeles, Atlanta, Columbus, and the Pacific Northwest and traveling through Asia. Her recipes are inspired by personal experiences that range from dining at the oldest restaurant in the world to eating at trend-setting healthy cuisine venues around the globe to partaking of traditional meals in far-flung and rustic locales. In addition, Ms. Lee is an award-winning economics and business consultant and has been featured in publications including Forbes for her research. Ms. Lee holds a business degree in economics and a Master of Business Administration. Aside from her passions for healthy living and economics, Ms. Lee is a fitness enthusiast, who has placed in distance running competitions on two continents and has received recognitions including top finisher medals in 10k races, qualification for the Boston Marathon, the Archie Griffin Sportsmanship award, and MVP varsity cheerleading. In 1998, she was crowned Miss Teen Columbus.